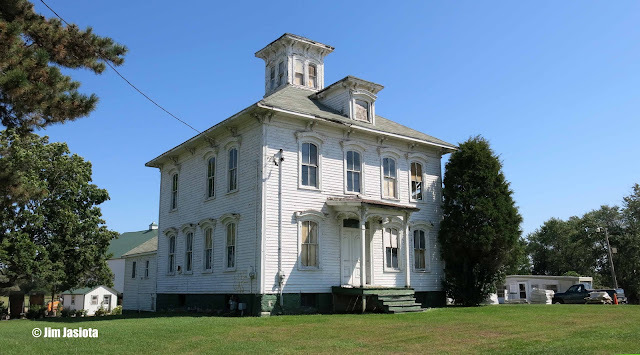 The Digital Research Library of Illinois History Journal™: The Harmening House, Ontarioville (now Hanover Park), Illinois. 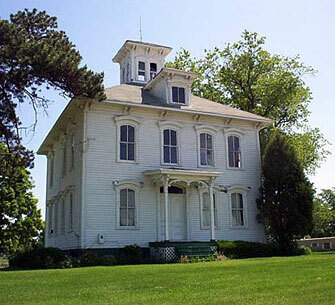 The Harmening House is located along Lake Street (US 20) in Hanover Park, Illinois. The area was once known as Ontarioville, now a lost town of Illinois, except that the name was given to a neighborhood of Hanover Park. It is estimated that the house was built sometime between 1865 and 1872. Wilhelm Heinrich Harmening was the original owner of the house and it was passed down to family over the years. 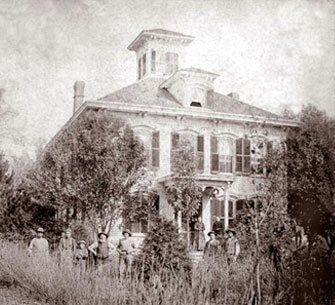 The most recent residents occupied the house until 2000 were not relatives of the Harmening family. The owner of the Central Sod Farm, which the Harmening House sits upon, says the House is priced at $2,000,000. 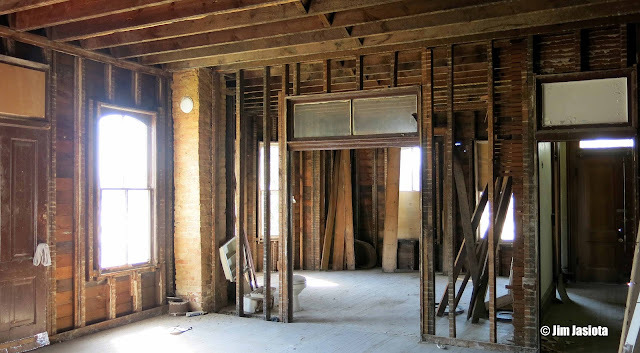 Within the last number years there has been interest in preserving this historic old structure. 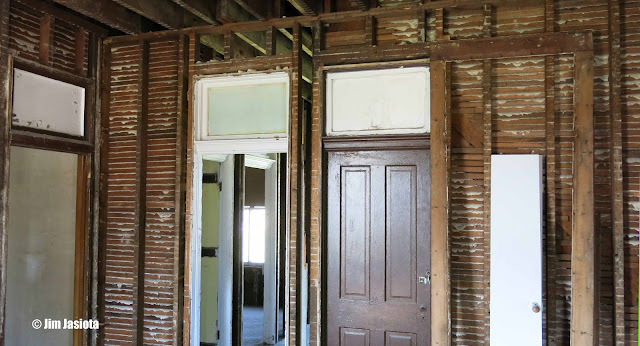 The interior is not in good condition and would require extensive refurbishing (see photos at the end of this article). There are no plans at this time for any type of massive restoration other than to keep the exterior of the building intact and standing. 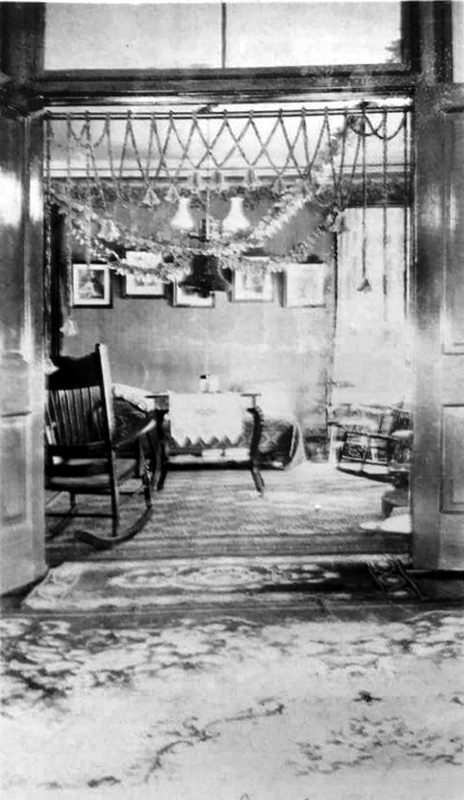 A family wedding held at the house in 1894. 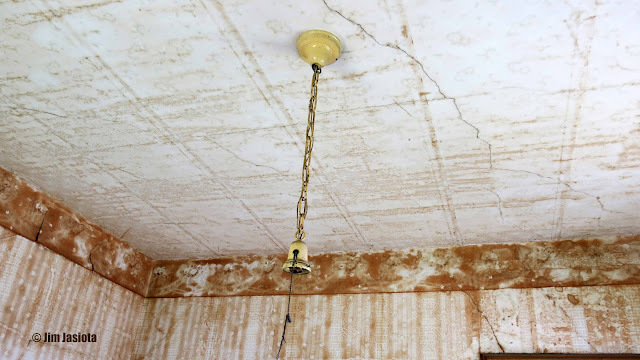 On September 14, 2015, I spoke with Tom who works on home-site. He was kind enough to give me a tour inside and allowed me to take photographs for this story. The pictures give an idea of the house floor plan. 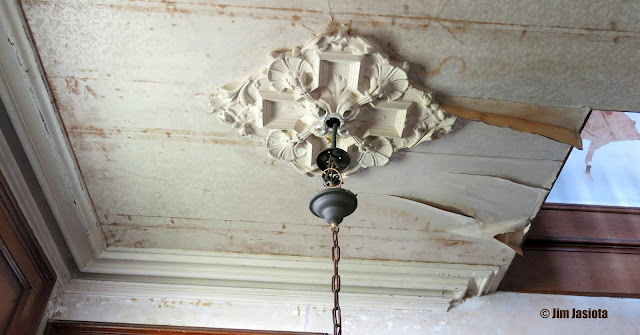 On the second floor you can see some of the original wallpaper and light fixtures. Tom told me about a baby picture that was discovered in a frame found behind a wall when it was torn down. The identity and story about the baby is unknown. 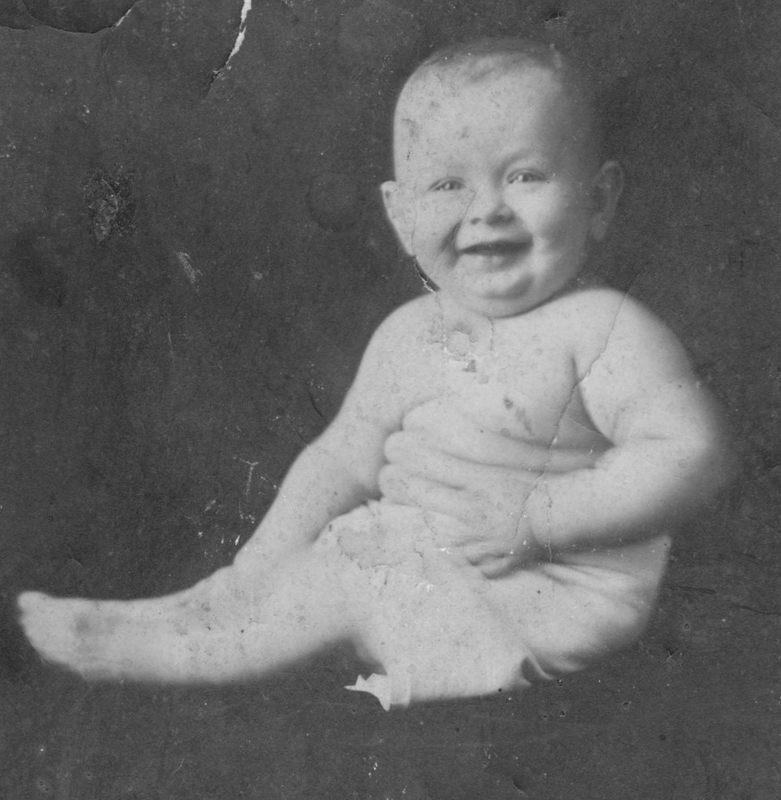 Tom was kind enough to email the baby photo to me. 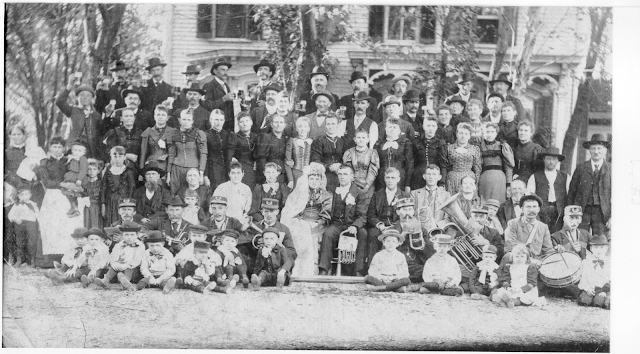 I have included it here along with a photograph that was taken around 1875 of a large group of people assembled for a Harmening family wedding. He also sent a photo from high up in the cupola, giving a view of Route 20. September 16, 2015 - Melissa Luby: I'm actually a descendant of the Harmening's on my mother's side. We've been researching our genealogy for years, and may be able to identify the people in the photos. I'll ask my mom to dust off the family tree and report back. Thank you for the photos; I've always wanted to see the inside of the house. 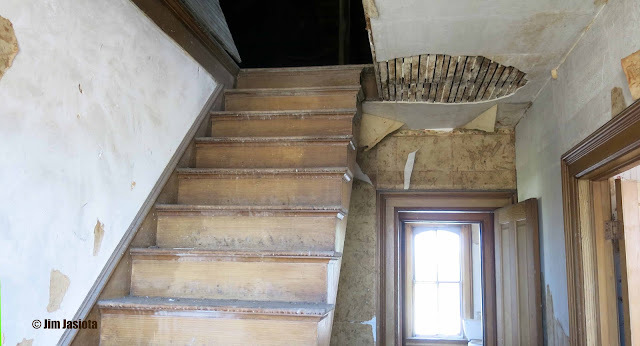 September 18, 2015 - Regina Nerge Dunaway: These are pictures I have of the original owners of the old Harmening House on Route 20. They are my Great Great Grandparents - J H Harmening, born Dec 31, 1827, died Dec 16, 1903, and Dorothea Thiess Harmening, born Jan 11, 1841, died May 8, 1924. 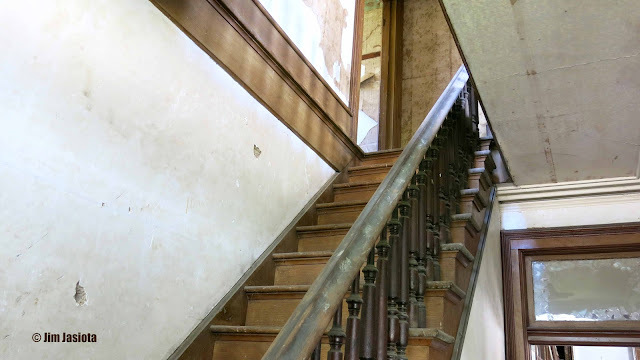 September 18, 2015 - Regina Nerge Dunaway: This is also an inside shot of the house in 1894. 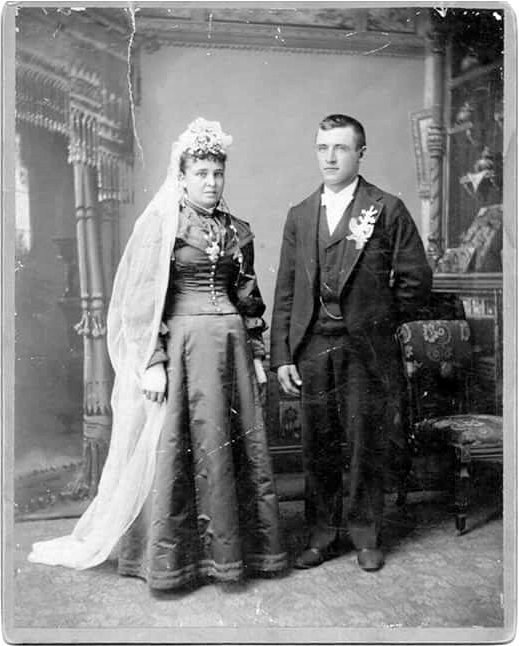 This photograph appears to have a backdrop, but was shot inside the house during the Wedding in 1894. September 18, 2015 - Robert Dunaway: My wife Regina Nerge Dunaway is the great great granddaughter and this is an inside photo from 1894. Awesome, love these old pictures and the history behind them, i sure would love to explore this old house.It had to be a grand place back then. The wedding photo was not taken inside the house. The background is a photographer's backdrop. The ones of the elderly couple at the top appear to also have a backdrop. You can see the line where the backdrop hits the floor in each picture. Otherwise, the photos are fantastic, and a treasure. The house appears to be in pretty good shape for it's age. No signs of rot or mold in those pictures. I hope it can be saved! 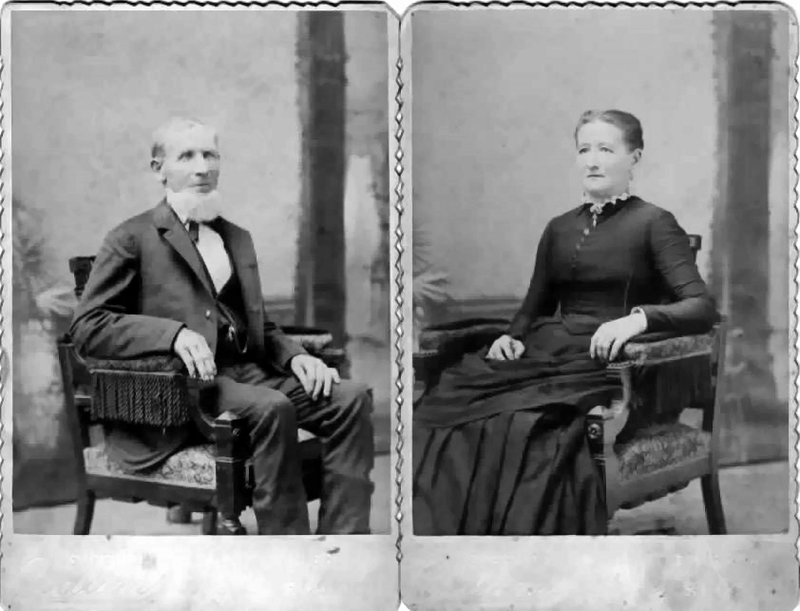 I am a descendant of Henry Christian Harmening, the adopted nephew of John Henry and Dorothea Harmening. I grew up driving past this house, and have visited it several times in the past years, but never had the opportunity to see the inside. These photos are fantastic, and this is the first time I've ever seen a photo of my great grandfather's uncle! Thank you for sharing these. My grandfather (Henry L. Harmening) lived in this house as a boy, and returned as a young married man in the 1920s. 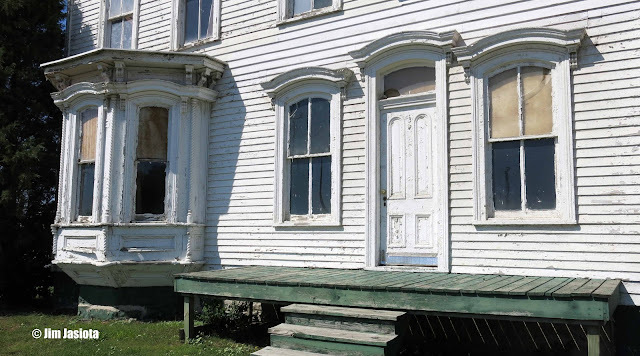 I would love to see this house restored! The sod farm owners tell us that it will cost $2 million. my grandfather was Henry O. Harmening. I love these old historic homes. Jim Harmening any relationship to you? I love this house and would love to see it restored. 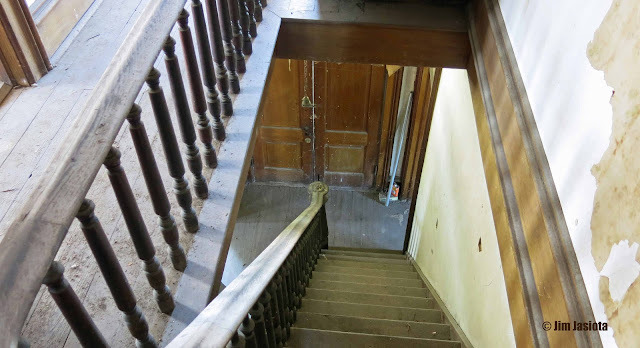 I took a tour inside several years ago and took lots of photos. It would mean so much if it could be restored. It could be a center for park district events and parties. It's important to remember history and not just in the cemeteries. I sure hope this home can be saved. I'd hate to think of all that fine wood along with the memories ending up in a landfill. Better hurry and restore or make it a Historical site. Because Village President most likely thinks it's an eyesore site for his Global Village. First of all, the Mayor of Frost Bite Falls (the President of Hanover Park) can't touch the Harmening House as it's on private property. Secondly, H.P is always near broke. I am William Harmening, great great grandson of Wilhelm Heinrich. I stay in the house when I am in the Chicago area for business. There is a hidden room in the basement that I have personally kept in tact. I have an old 1930's blow up mattress and a quilt my great great aunt Beatrice hand knitted during the civil war. If I had the time and money I would restore the entire house and put it back in the Harmening name. Too bad someone won't take it off the sod farm & rehabit it. Thanks for all those great pictures. It is a nice stately house.